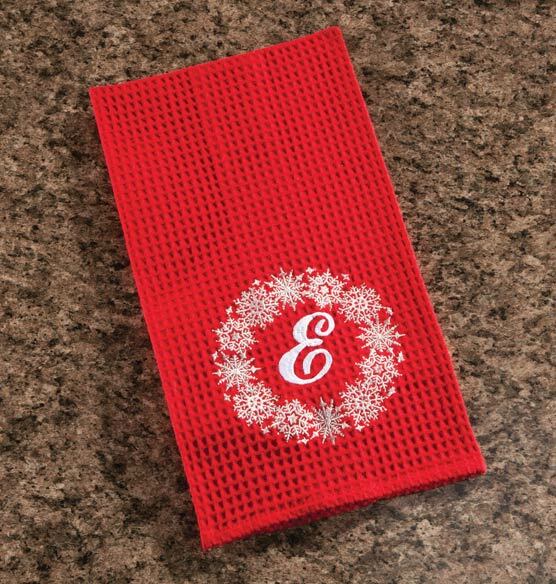 The embroidered snowflake pattern and swirling top-stitching make this red monogrammed Snowflake Wreath kitchen towel stand out. A monogram inside the snowflakes adds a personal touch. Perfect for adding a festive accent to the countertop or stove, this highly detailed embroidered towel makes a great gift idea. It looked attractive. May order more once I see it in person.